Baldwin Grand Piano Model L 6’3″ 1979 Ebony $8500. 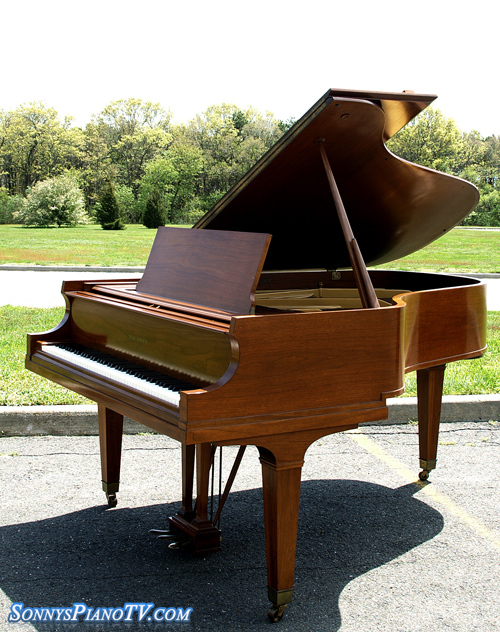 Baldwin Baby Grand Model M 5’2″ Ebony,very little playing time. Great instrument, classic sublime Baldwin tone and action response. Beautiful furniture piece. Action just regulated (More Photos & Video Coming Shortly)Questions? Call Sonny Direct. Free LI/NYC delivery. All else continental USA only $475. Sonny’s Piano TV – Magnificent Baldwin Baby Grand Piano Model M 5’2″ Walnut, Like New, Never Played! Rare Find! – See Video Tour!